Yes, there really is a killer app when it comes to saving big on repairing utility cuts. On location in Miami, President Dag Seagren shows how EZ Street cold asphalt trumps tradition. The price of temporary cold mix is a great, big, loud sucking drain on your budget. But this continues to be how most crews handle utility-cut reinstatement: by throwing money in a ditch. It’s a colossal waste of labor, equipment and overhead. There’s a better, faster way that can cut your budget by as much as 50%. Want the first repair to be the last repair? 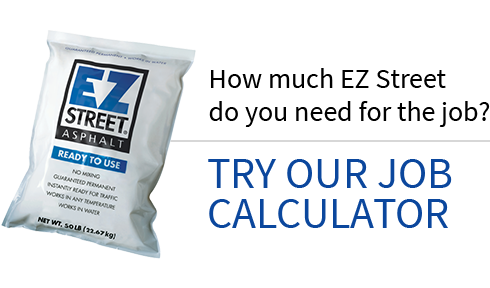 Meet EZ Street cold asphalt. As good as hot mix for utility-cut reinstatements, it cuts the cost of every single job and is guaranteed permanent. Traditional cold mix crumbles. But 14 years later, this EZ Street asphalt reinstatement is still going strong. Money-saving hydro excavation saves even more money by using EZ Street asphalt. Despite dead-cold winter chill, a sewer repair using EZ Street cold asphalt is still going strong years later. Making fast work of a residential water-main reinstatement makes for happy campers down under. Bone-chilling weather. Layers of frost in the dig. 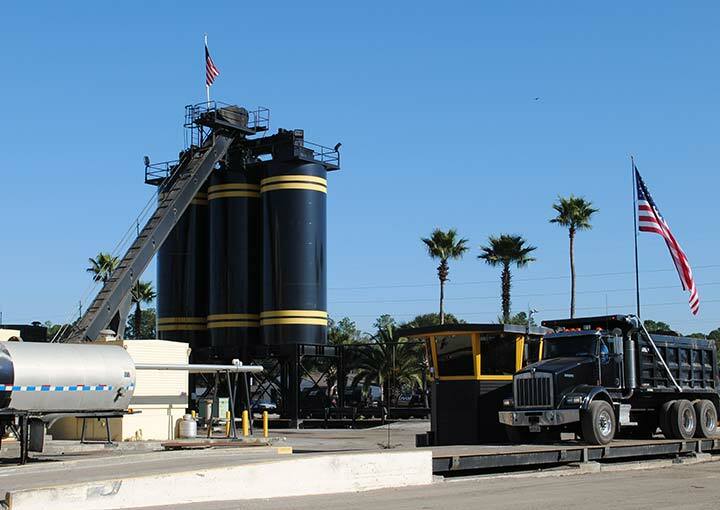 Four lifts of asphalt. But this water main repair is made snappy and more affordable. EZ Street can also be utilized as a permanent trench patching material if proper installation procedures are followed. As with any material, optimum placement of a well compacted, solid, unyielding base is imperative under the EZ Street material in order to avoid trench failure that can result from settling, rutting, or shoving. EZ Street should be placed in maximum 2" lifts with each lift receiving proper compaction. Best performance will be realized if a vibratory steel wheel roller is utilized to achieve compaction following the application of each material lift. In cases where a steel wheel roller will not fit into the trench for compaction of the initial material lift(s), a plate compactor should be used. Use of a vibratory steel wheel roller is the preferred mode of compaction for all material lift(s), especially the final or top lift on all trench applications. EZ Street can be expected to consolidate up to 40% before maximum density is achieved. When installing a 2" lift, EZ Street should be placed approximately ¾-1" higher than the desired finished surface level prior to compaction insuring that the trench contains sufficient EZ Street material after optimum compaction is achieved. Click here to visit our utility cuts case studies section.